Working with wood very often brings a big surprise, because you never see what’s hiding behind a dirty and and maybe waxed surface. Though I sometimes make a drawing of the planned workpiece, the result often looks very different according to the colour and the grain of the log. 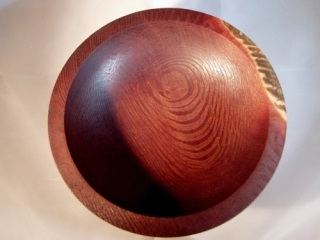 So all the results of my woodturning effects are unique, sanded, oiled and/or waxed with Danish Oil, Finishing Oil, Woodwax, Carnaubawax e.g.